With Valentine’s Day sneaking up on us, I’m entering into my annual convince-tulip-man-to-celebrate-valentine’s-day mode. Because Valentine’s Day is just not catching on here in the Netherlands (despite my best efforts of using heart-shaped cookie cutters to heart-ify anything and everything). 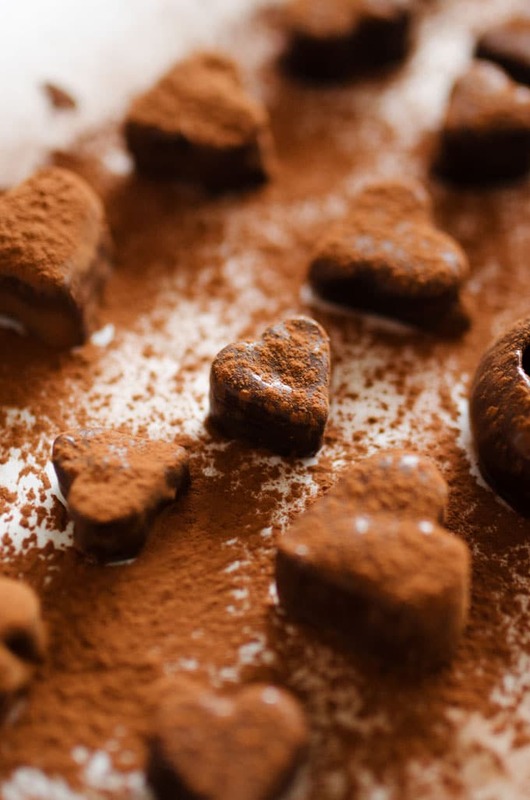 So I figured I’ll just celebrate Valentine’s Day with you by sharing a few of my favorite healthy Valentine’s Day recipes. These Valentine’s Day recipes are in no particular order and belong to no particular category or meal. They’re breakfast, they’re dessert, they’re whatever you want them to be, really. 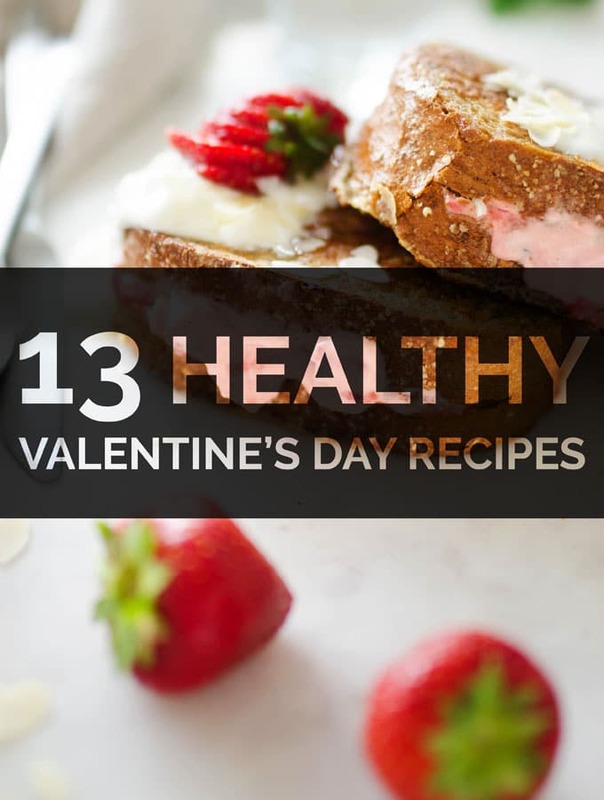 Use them as inspiration to make your Valentine’s Day this year healthy. delicious, and full of heart-eyed emojis. 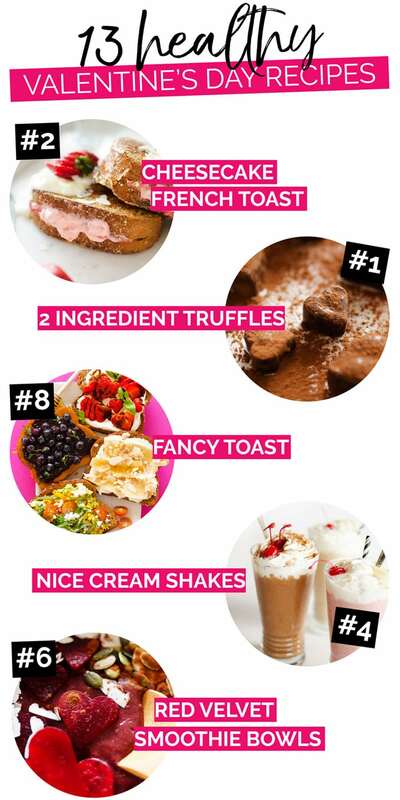 A recipe to help you spoil your health-loving loved one! These chocolate fruit truffles are super tasty, have just 2 ingredients, and take only 15 minutes to make. Cheesecake for breakfast (without all the guilt of, you know, traditional cheesecake). Whips up in under 15 minutes and so tasty! 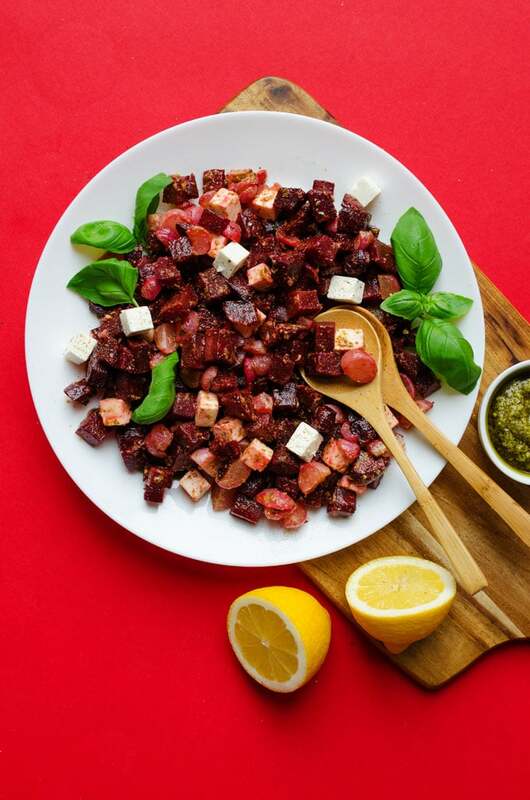 Super quick to throw together and is a light and flavor packed dish to brighten up your spring (oh, and it has less than 50 calories per serving)! You know how you can make “ice cream” out of frozen bananas? 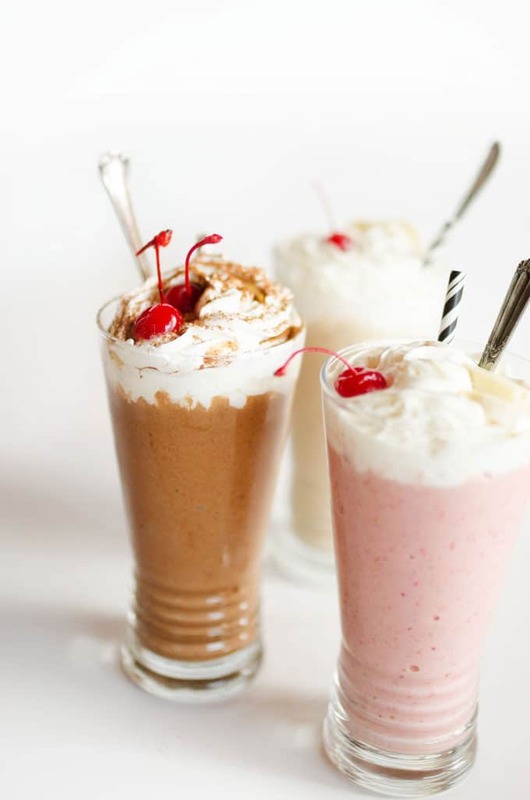 Well you can make even better milkshakes out of them! For when you forgot it’s date night but still want to impress the boo with a tasty drink. 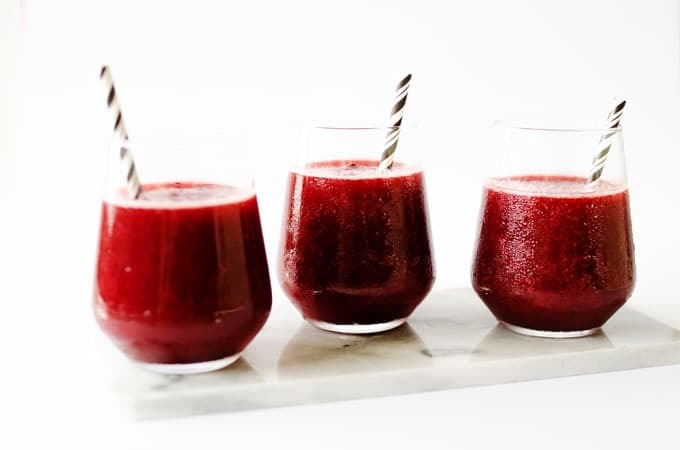 This cherry rose slushie recipe is an easy way to make INSTANT frosé (you know, frozen rosé)! You just need a bottle of rosé, frozen cherries, lemon, and honey. 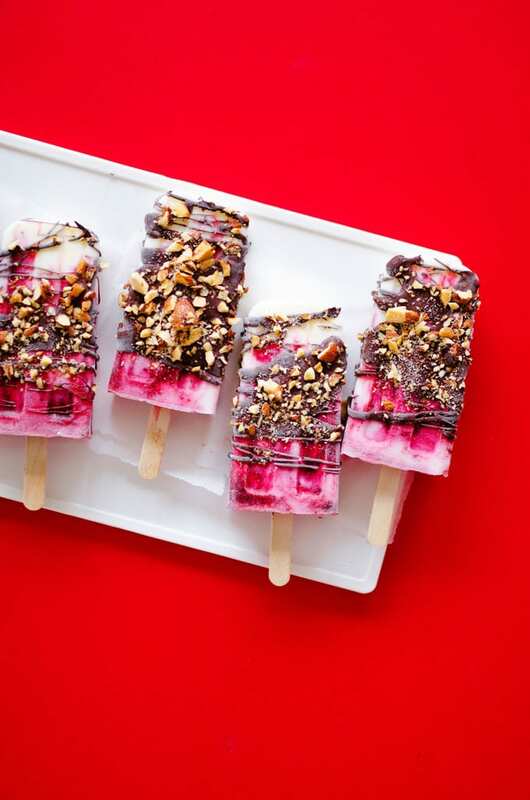 It’s never too early in the year to be dreaming of popsicles. These are filled with cherries and covered in chocolate and chopped almonds. Need a way to toast your loved one for being the best person ever? 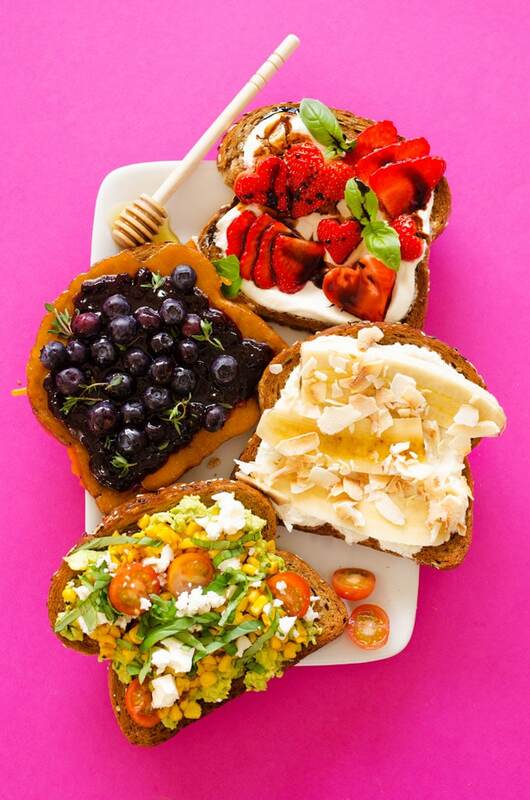 Here are a few toast flavors to inspire your Valentine’s Day brunch. 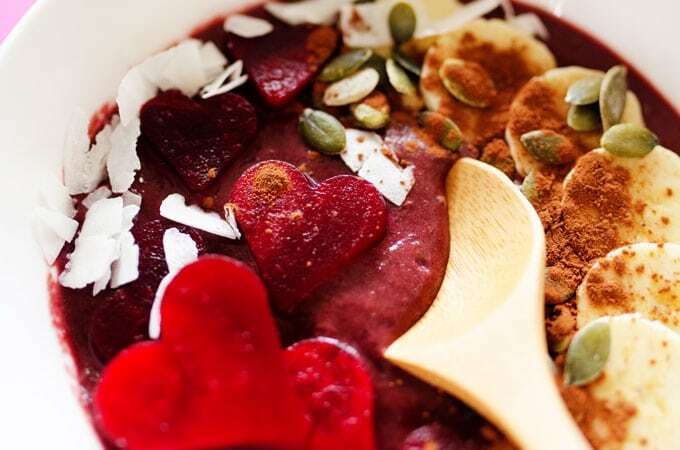 For the partner who isn’t a morning person, wake them up on the right side of the bed with a smoothie that combines the best parts of breakfast into one. 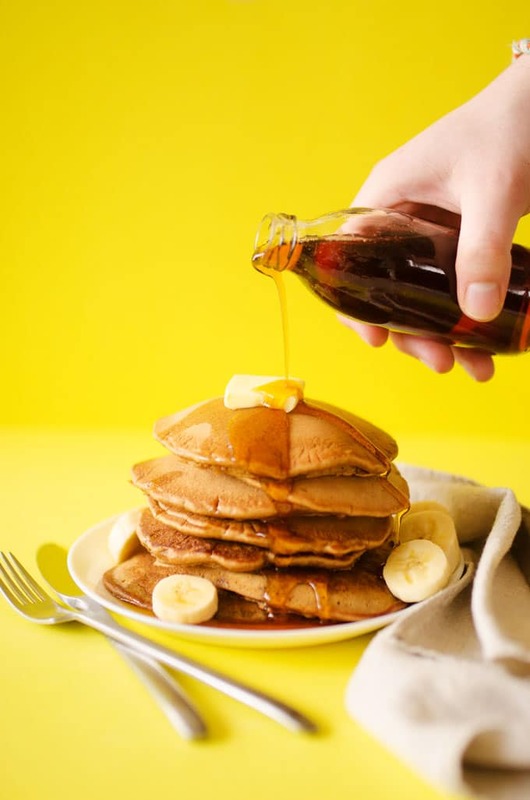 Does it get anymore classic than banana pancakes? These have an almond flour base and are so fluffy and moist! 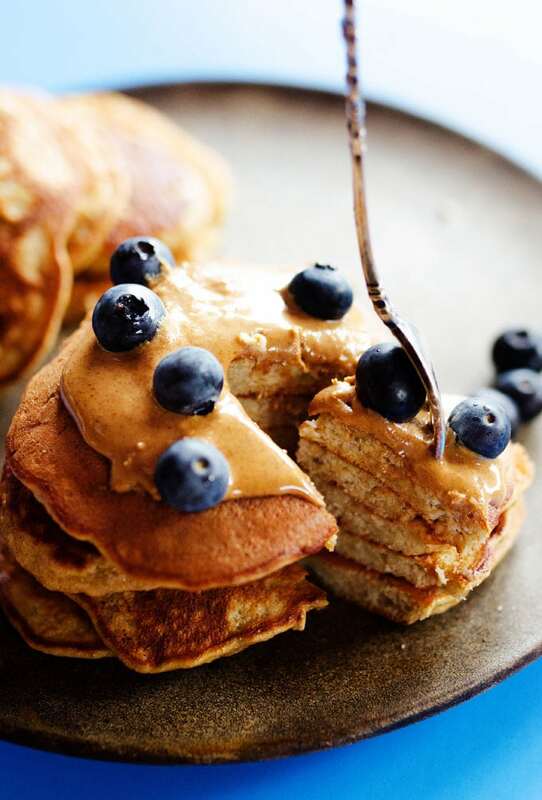 For the loved one who’s not into paleo pancakes…beer pancakes. If you’re out of milk or ready to try something new, these Beer Pancakes are right up your alley. 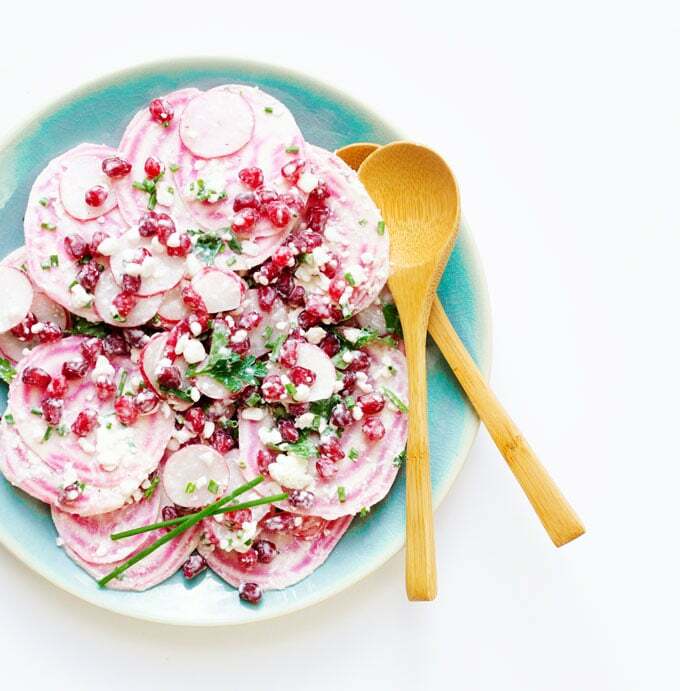 Nothing says “I heart you” like a heart-healthy side dish to go along with Valentine’s Day dinner. 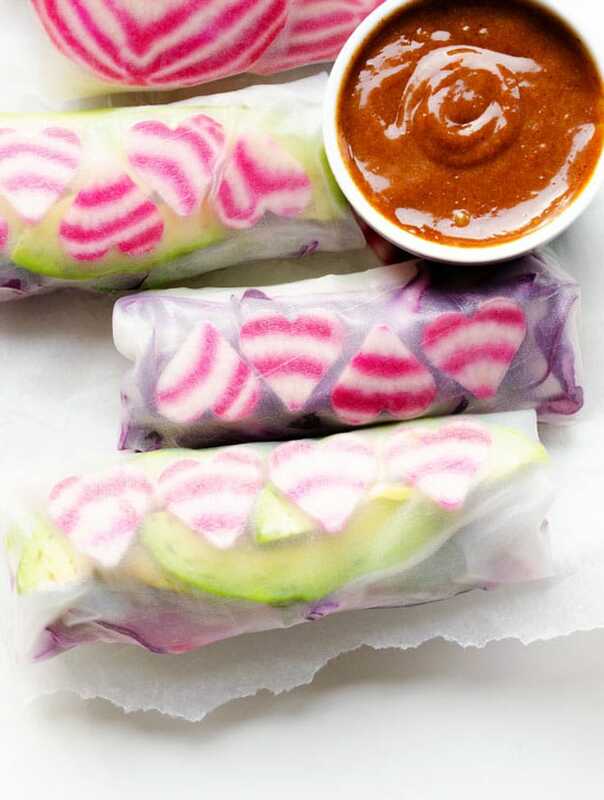 Stuffed with fuchsia root vegetables, creamy avocado, and herbs then served with the most delicious almond butter sauce of your life, these vegan spring rolls are perfect for your healthy Valentine’s Day dinner. 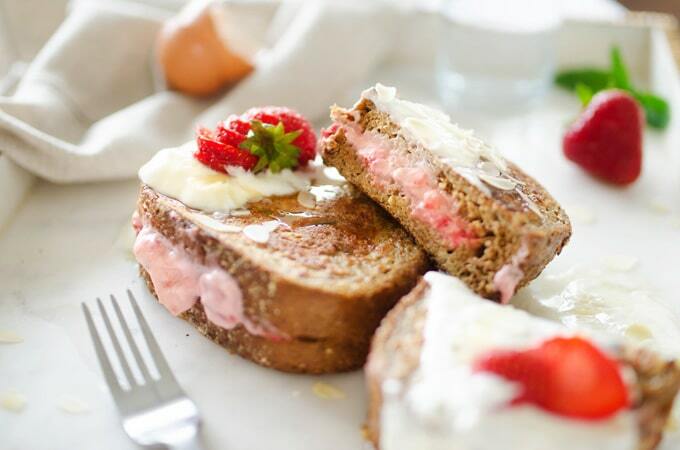 I hope you got some inspiration from these healthy Valentine’s Day recipes! What will you be cooking for your partner/mama/pa/sister/best friend this year? Let us know in the comments below!